The 2002 FIFA World Cup final in Yokohama that crowned Brazil world champions for the fifth time, Germany’s 7-1 victory over Brazil in the semifinals at the 2014 FIFA World Cup and the Gold Medal final at the Rio de Janeiro Olympics that the Seleção narrowly won after a penalty shootout. Germany against Brazil is defined by significant historical moments, and no other countries had a bigger impact on football worldwide than the four times world champions Germany and the five times world champion Brazil. The friendly on Tuesday will, therefore, pit two giants of the game against each other. 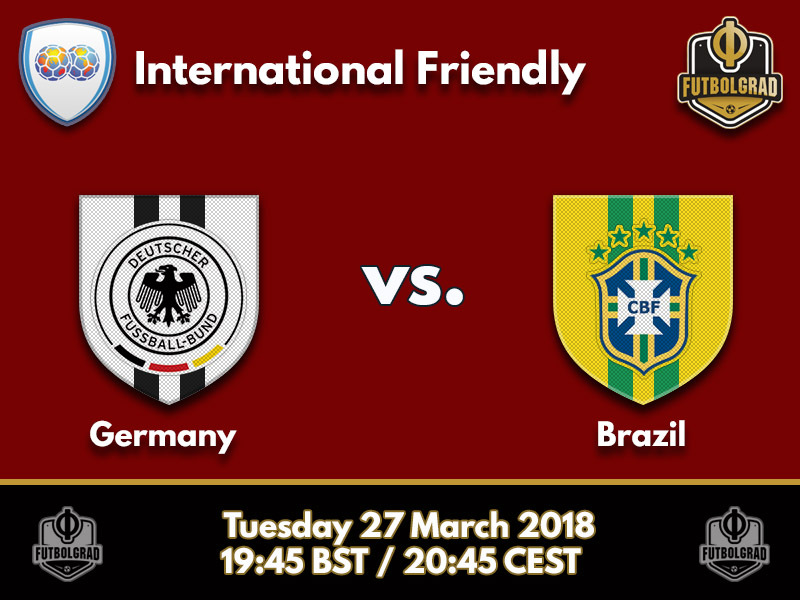 But while the match promises to be a fascinating affair both Germany coach Joachim Löw and Brazil coach Tite are expected to experiment somewhat with their line-ups. Germany used their traditional 4-2-3-1 formation on Friday against Spain in what was perhaps the closest lineup to the one that will kick off the World Cup in Russia next summer. That lineup is expected to change significantly on Tuesday with Löw turning to the 3-4-2-1 formation that won Germany their first ever Confederations Cup last summer. Going with a back three expect Matthias Ginter to start in defence. Ilkay Gündogan and Leon Goretzka in the meantime will be brought in to control the centre of the pitch. 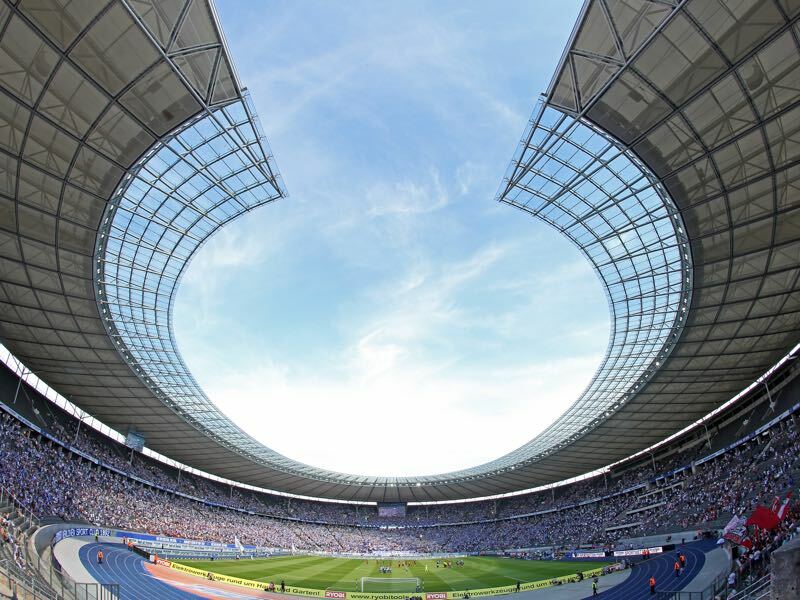 Hertha’s Marvin Plattenhardt will likely get the start as a wing-back on the left and Manchester City’s Leroy Sané, and Gladbach’s Lars Stindl can be expected to slot right behind forward Timo Werner. Brazil in the meantime are without the injured superstar Neymar. Gabriel Jesus will replace him up front. Against Russia, on Friday the Seleção operated in a 4-3-3 formation with Roberto Firmino, Gabriel Jesus and Douglas Costa up front. Against Germany, however, Tite is expected to play with a more defensive minded formation that will look more like a 4-1-4-1 with Fernandinho, Casemiro and Paulinho patrolling the centre of the park. Against Russia Brazil showed a good performance but the backline – especially wing-backs Marcelo and Dani Alves – had problems when Russia switched quickly from the back to play forward. 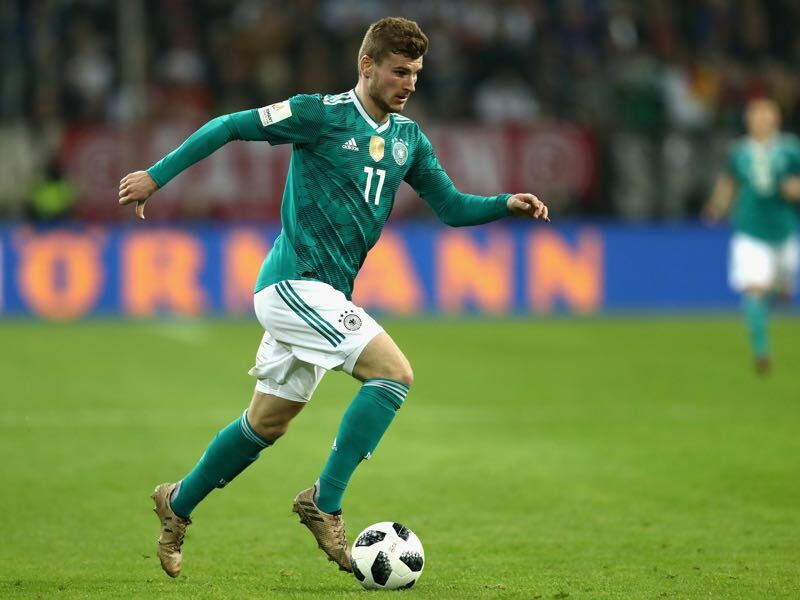 Thanks to Russia’s short-comings those deficits did not lead to a goal but a top nation like Germany, which possesses fast players that can quickly hit opponents in the transition play both wing-backs could be caught out. Germany’s weaknesses are Löw’s experiments. The 3-4-2-1 has worked well at the Confederations Cup. But with several key players missing how Germany’s young guns will react when it comes to facing one of the world’s biggest powerhouse. We will find out on Tuesday in what might be the prelude to another historical showdown this summer in Russia. Paulinho is perhaps the biggest come back from the ashes story of the season. Playing in China for Guangzhou Evergrande, who he joined in the summer of 2015 from Tottenham, the midfielder was thought to have ended his European career. But Paulinho showed that China does not need to be a dead end. Last summer FC Barcelona made a surprise move for the 29-year-old Brazilian signing him for €15 million. Paulinho quickly established himself in the starting eleven and has scored eight goals and two assists in 28 La Liga games this season. Brazil have just lost one game under Tite. Their record in 17 games under the head coach is W13 D3 L1. Brazil’s only defeat under Tite came in a friendly against Argentina last year. Germany are unbeaten in 22 games (W16 D6); their second-longest unbeaten run ever (they were unbeaten for23 games between October 1978 and December 1980). Germany’s record against Brazil is W5 D5 L12.